When it comes to the strength of a wooden structure, it is not the timber itself but also the strength of the joints and structural surfaces such as walls, floors, and roofing that are crucial. As a result, the aseismic capability largely depends on the joints and structural surfaces. Traditional wooden architecture, with no alternative but to increase the number of walls and columns in order to ensure aseismic capability, imposed challenges that resulted in significantly restricted planning options. By strengthening the joints, STROOG connectors can reduce the number of walls and columns required. Furthermore, in combination with other types of connectors such as connectors for pin joins, Rahmen joins, or free angled joins, they improve the flexibility of planning exponentially. 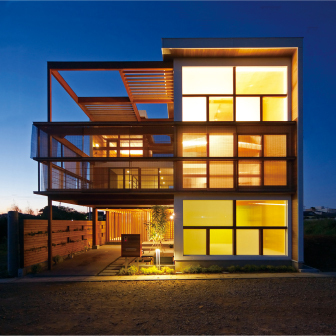 Wooden structural frames released from these restrictions can realize large spaces and wide openings which were traditionally difficult to realize. 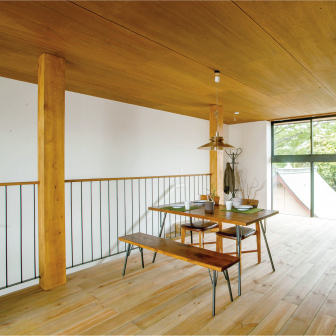 STROOG products enable wooden architecture to be planned for various usages. 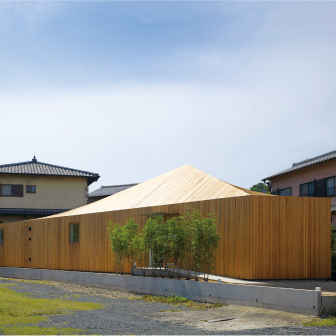 We have diverse installation examples from residential houses which realized the requests of owners and designers while maintaining sufficient aseismic capability, to a wooden town hall making use of local timber, and a kindergarten building highlighting the warmth of timber. We have also supported a variety of building scales such as a built-in garage for a narrow space and a 4-story city residence. Rahmen joints and pin joints can be mixed within a frame. We enable various types of structural frames to suit your planning. These include multi-layered Rahmen, consecutive Rahmen, single-sided Rahmen, Rahmen to construct voids, Rahmen for columnar walls, joint Rahmen, trusses and others. Aside from basic continued-column Rahmen, we also support continued-beam Rahmen and allow for the flexible placement of columns over different building floors. As they can be used with panel bearing walls and/or braced bearing walls, the placement of Rahmen frames can be limited only to necessary positions, which allows flexible and cost-effective planning. Aside from various sizes and types of timber, STROOG products can accommodate mixed structures of timber and non-timber (RC or steel) construction. They enable flexible options that take designability and cost into account. 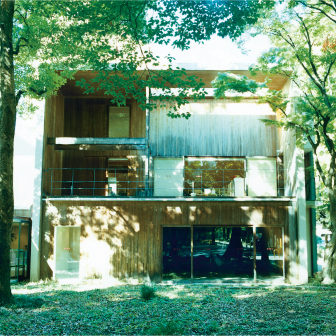 For example, a primarily wooden building comprising a ground floor with RC structures, second and third floors with wooden structures, and some steel columns installed. 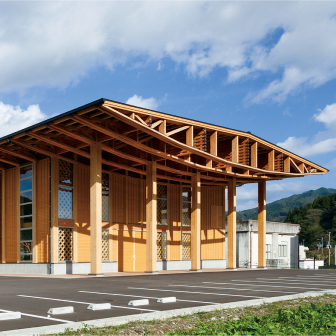 Unlike common wooden architecture, we enable joints to resist seismic force without requiring panel bearing walls or braced bearing walls, which allows for the planning of large spaces and large spans. We have realized not only a large living space without any partition walls or columns, but also a kindergarten building with an over 9m span, and another example with a large space formed by a 20m span configured with trusses. 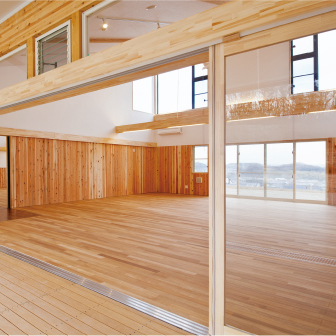 As with large spaces and spans, we also enable wide openings which have been difficult in common wooden architecture. We allow planning for buildings with a full opening which has no walls on one side as well as buildings with wide openings on all four sides, which creates a connected feeling to the outdoor space, a spacious view, and an open and bright internal space. 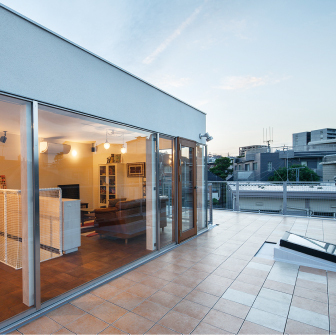 We enable overhanging structures where the upper tier hangs over the lower tier allowing utilization of the space below. We also have capabilities for cantilevered structures allowing planning for cantilevered balconies and eaves. High bearing-force horizontal structural surfaces enable large voids. We can also verify safety of the building based on the size of the void by conducting a structural calculation through advanced 3D frame analysis. We can realize three-dimensionally open spaces, high ceilings across two stories, wide staircases, and attic spaces formed by climbing beams. Aside from gable roofs, hipped roofs, deck roofs, and other complex roof shapes are also possible. We also realize skip-floors while supporting safety verification through a structural calculation reflecting the difference in the floor levels. 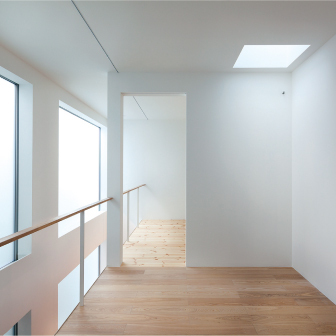 STROOG products were adopted in a residential house that comprised seven layers in different levels. In addition, we enable rooftop spaces to be utilized, meeting the needs of houses built in narrow places. 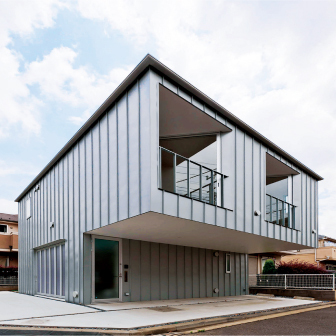 We also support skeleton-infill housing which facilitate changing the usage, layout and internals of the house by separating an aseismic structural body referred to as a “skeleton” and the internals or “infill”. With STROOG connectors designed to facilitate future renovations and expansions, you can leverage the advantage of skeleton-infill housing which accommodates changing lifestyles and families, and maintains the property value. Building designs originally planned as steel or reinforced concrete constructions can be converted to wooden architecture planning which has great cost efficiency and lower environmental impact. 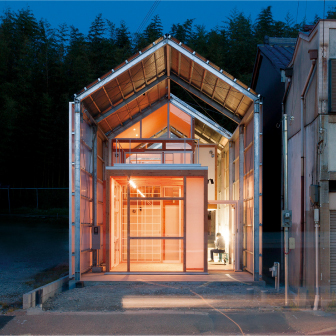 By using wood that absorbs CO2 to grow for a building, the CO2 can be trapped inside the building components. 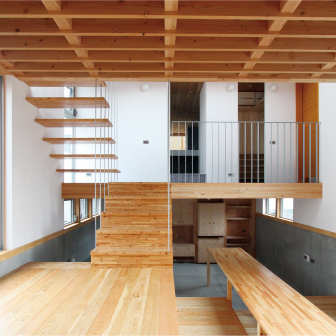 Therefore, wooden architecture is also environmentally friendly. STROOG connectors are designed to realize exposed wooden structures. They can be hidden inside the timber to keep the beauty intact. 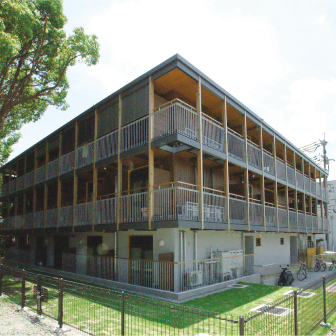 Allowing for the use of sacrificial timber, they realize wooden architecture presenting wooden textures even where fire safety regulations are applied and even for mid to large-scale buildings.